Everyone needs a budget, whether you’re married with kids or a student embarking on an educational journey. While making and sticking to a budget may seem like a daunting task, the process can actually be easier than you think. There are a number of ways to save a few bucks every month. Here are 4 helpful tips to get you started. If you don’t have the liquid cash to buy something, then don’t. Adding onto mounting credit card debt can be a dangerous thing, especially if you don’t have much willpower in the spending department. Sure, having a credit card may seem like a life-saver at times, but if you don’t have the funds available to pay off your bills in full and on time every month, you can find yourself quickly being buried in interest charges. As a student, eating out may seem like the easiest thing to do when it’s feeding time. While there most likely isn’t a shortage of restaurants and eateries in and around your school, you might be leaving your wallet empty at the end of the month while your stomach may be full. It’s fine to eat out every now and then, but the majority of your meals should be eaten in. Make sure you are careful about how much you’re spending on dining out. Take advantage of grocery store specials and prepare most of your meals yourself to save a bundle at the end of the month. Textbooks can be a massive expense when you’re in college. While you can’t really do without them, you can buy them at significant savings when you shop in used book shops. Many colleges and universities have used student co-op bookstores where you can either buy textbooks used, or even rent them for a certain time period. In addition, unless you need your old textbooks for future needs, sell them when you’re done with them, and put that money towards next year’s books. Click here to download the XLS file student budget template.xls. 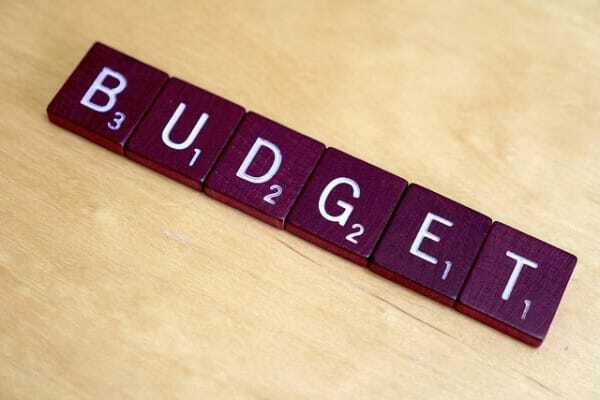 An effective budget needs to be put down on paper or via a spreadsheet from a student budget template. On this budget, make a list of all your forms of incomes (including your job, loans, parents, etc. ), followed by all your expenses (such as rent, books, food, etc.). Make sure to differentiate between your needs versus your wants. The final number that you calculate should not be a negative number. If it is, you need to make some adjustments to make sure your take-home pay covers all your expenses. To make things simple for you, consider taking advantage of an effective online tool to help you set up a budget and manage your finances. Mint.com offers free, unbiased recommendations to help you save money and budget effectively. This online service offers tools and advice to help you understand your finances and clearly see where your money is going. Click here to try Mint for free.